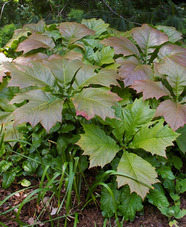 From damp, shady woodland in Japan. 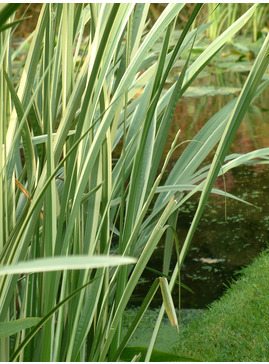 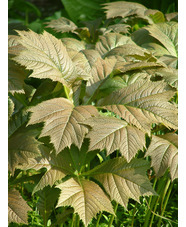 The young unfolding leaves are rich dark brown in spring, turning green as they expand, often copper-tinted when mature. 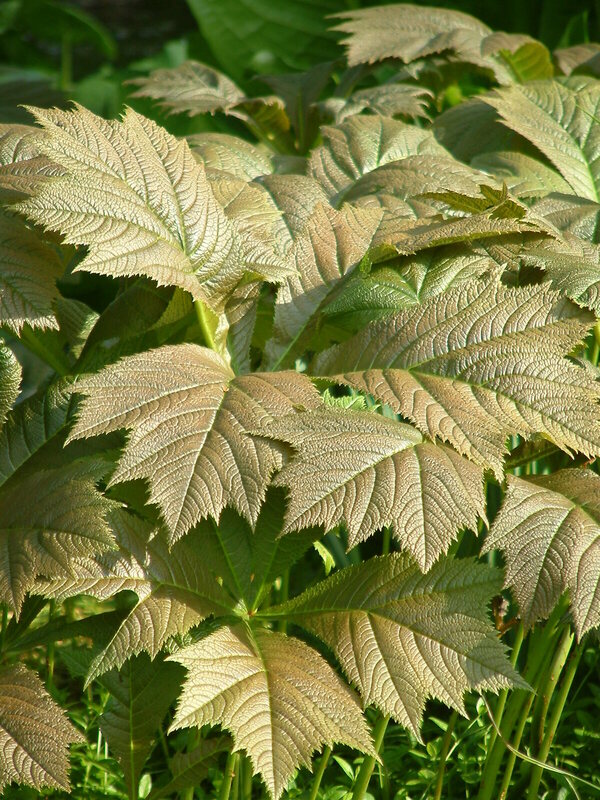 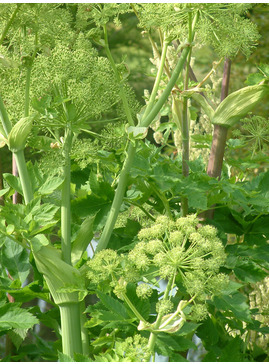 Each dramatically handsome leaf consists of five large leaflets, broadly triangular in outline, with jagged tips, arranged at the top of each stem. 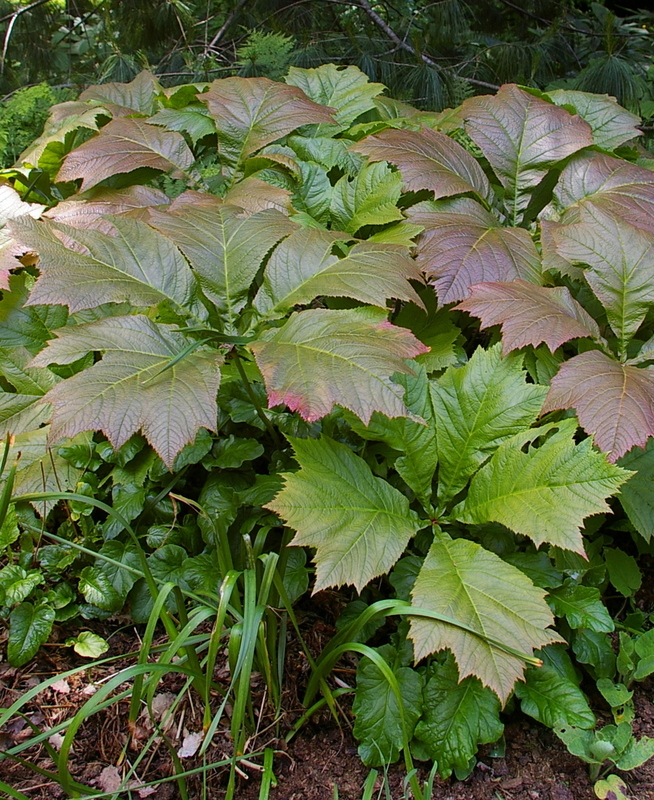 Looser growing clumps than other forms. 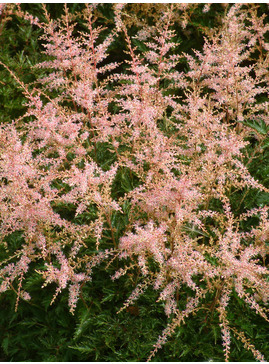 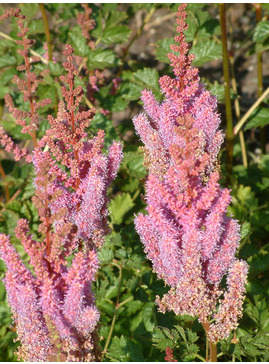 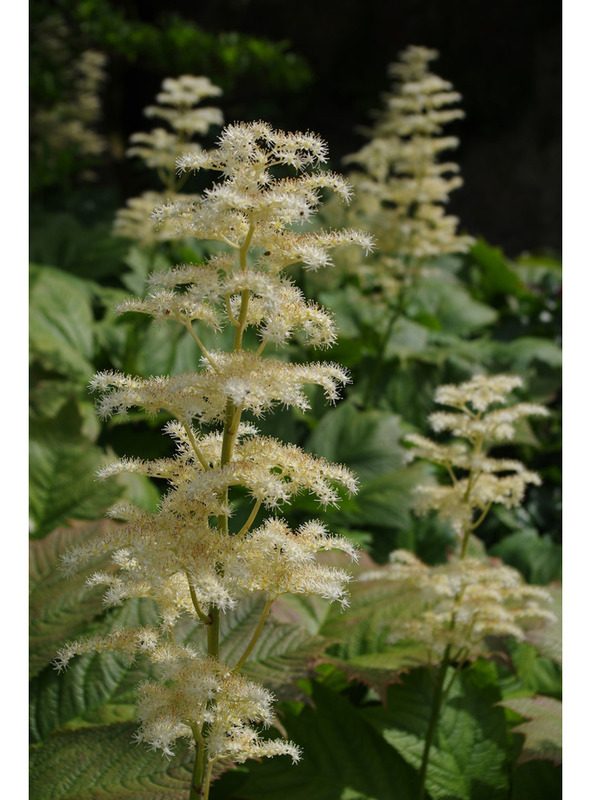 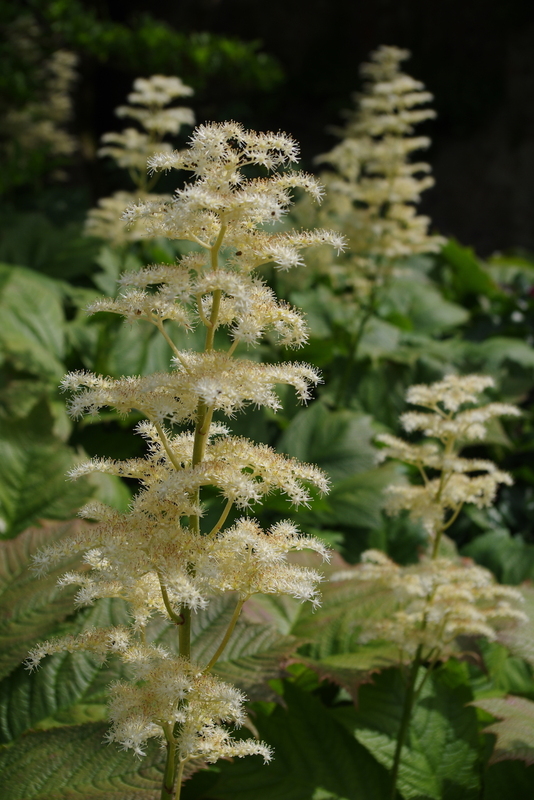 In late spring, early summer, through the foliage arises a head of creamy astilbe-like flowers.